Earlier today, we reported on what ROH COO Joe Koff had to tell the New York Post in reference to the upcoming G1 Supercard show during WrestleMania weekend next year. The show, as many readers are aware, features talent from both NJPW and ROH and will take place at Madison Square Garden (MSG) on April 6. WWE has now released a statement on the show. Koff has gone on record in saying that the conversation would be very different if WWE held WrestleMania in Boston or Chicago. 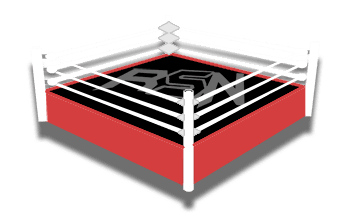 There has been some conversation recently about WWE attempting to prevent ROH and other wrestling companies from being booked in the Madison Square Garden as the company feels it is their home. Regardless, the announcement has been made and it is now official. The G1 Supercard show will feature an extensive list of talents from both promotions and will take place on the same night as NXT’s TakeOver event. It appears now that regardless of what the company wants, they can no longer hold WrestleMania Axxess or TakeOver in the building. There is, however, the possibility that the WWE Hall of Fame could air from the famous arena as it does not coincide with prior dates. Are you going to be watching the G1 Supercard? What match do you expect to headline that event? Sound off in the comments below.